Go beyond the usual Fort Jefferson Nation Park visit and step onto the breathtaking island of Loggerhead Key. Are rarely visited lighthouse can be checked off on your bucket list. Snorkel the shallow reef on the westside of the island. Fort Jefferson is one of the top 10 places to visit and is listed as a 'Must Do' for many who make it to the lower Florida Keys. The Dry Tortugas National Park is by far the most diversified grouping of the outer islands. It is also one of the the most challenging national parks to visit. These islands offers much to the traveler willing to take the path less traveled though. Fort Jefferson is the most visited island of the Dry Tortugas and offer a historical look into the Civil War era and is a marvel of a brick structure - so large, it can easily be seen from space. The island that Fort Jefferson is on is called Garden Key and it is the only location that the contracted ferry and seaplane are allowed to transport guest to and fro. All other islands, wrecks and reefs within the park are only accessible with either a private charter like ours or through your yachting friends and family. 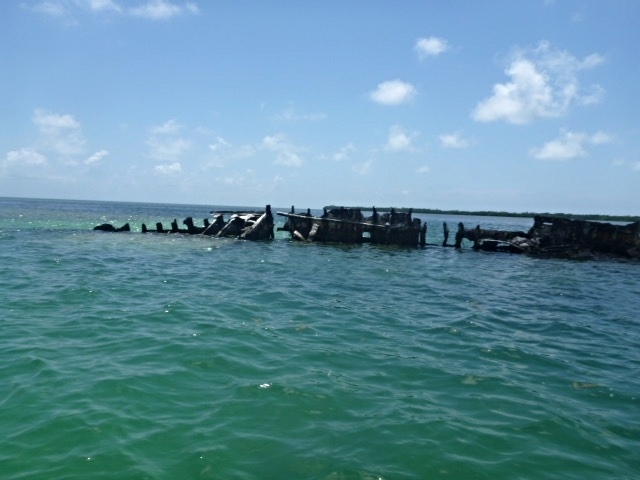 All visitors must check in with the NPS at Garden Key when they arrive and every charter vessels must hold a valid CUA permit issued by the NPS. We highly suggest verifying the legitimacy of any charters offering such a trip directly thru the NPS website. Every private vessel with non-paying guests are welcomed when they check in at Garden Key with the park rangers and pay the entrance fee. Our Dry Tortugas charter trips range from 4 to 6 days with options for reef, wreck and uninhabited island stops along the route. You will enjoy sunsets, dinner and starry nights at anchor and the crew will sail during the day towards our destinations while you enjoy the luxuries afforded you from the yacht. We believe this makes for a safe journey as well a providing our guests with opportunities to step off the yacht and enjoy many of the treasures that these waters and islands hold. We create a customized itinerary for our guests that places emphasis on what our guests interests are. Some top favorites are exploring the beaches, snorkeling the reefs and wrecks, bird watching, observing the marine life such as the many turtles and of course, touring the Dry Tortugas Museum and Fort Jefferson. Below is just one scenario possibility. Day 1: Key West to Marquesas Key - Arrive dockside as early as 9:00am. We encourage you come aboard after a healthy, hearty breakfast. This will give you the energy you will want and help settle you for your first day at sea. Once aboard, quickly unpack (we recommend soft, foldable luggage) and settle in. We will familiarize you with the yacht, address safe practices, our amenities and fine tune our plan for the day. We are already stocked with plenty of good foods & beverages. Any alcoholic beverages you brought will been stowed in the large coolers on deck. It won’t be long before we are dropping the lines and heading out to your adventure for the day. Going forward, we will encourage you to “Play, Eat, Relax & Refresh – Repeat” throughout your time aboard. 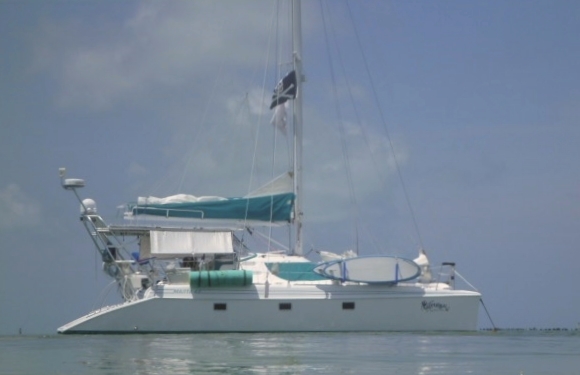 Ultimately, we will arrive at the Dry Tortugas (roughly a 13-hour sail) and we will likely take you for stops along the way at pristine reefs, uninhabited island and shallows where you can do some awesome shelling. We’d like to at least get to Boca Grande by day’s end, further on to the Marquesas if time and weather permits. Night 1: Marquesas Key - We will be anchored before sundown, likely near Marquesas Key. It’s time to capture the sounds of nature, enjoy the sunset, have a hearty meal and maybe do a little stargazing from the trampoline. It’s a great time to ponder all the wonders of the day. Rest assured, you will be sleeping very well tonight. Day 2: Marquesas Key to Dry Tortugas - You’ll wake to fresh lattes, teas and move right into breakfast – nourishing, tasty and just what you need to get the energy flowing for another day of adventures. Where we are anchored will play a roll in todays activities. If we are near the Marquesas, we will need to sail for 8 hours to get to the fort. If we head out early, we can reach it late afternoon. You’ll have time with the captain to discuss a variety of expectations and options based on the weather ~ you will help plan the day. Once set, we intend to repeat yesterday philosophy “Play, Eat, Relax & Refresh – Repeat”. Just doing something different somewhere else. Night 2: Dry Tortugas - You’ll likely be on a yacht floating outside Fort Jefferson and seeing the colors of the sky change. Maybe you’ve already been inside the fort and recalling all the sites and history stuffed in such a small piece of land. You see the lighthouse begin to beam. You played hard today but surprisingly you’re not as tired. Dinner and sunset seems more relaxed than ever but nothing has changed – except your perception. You’re distressed at last. Welcome to our world. The stars, the fresh sea air and the occasional fish slap on the water should be imbedded into your memory now. We’ll retire early enough for you to have the deck to yourself for star watching. Dream of sand between your toes…because tomorrow dreams come true. Day 3: All Day Play at Dry Tortugas - Today we target both Fort Jefferson for an early morning visit and then Loggerhead Key for a snorkel and walk past the original Dry Tortugas lighthouse. Now your getting an understanding what tropical sailing and living aboard is like – and it’s all good! We always have yummy food, enjoy the environment and scenery and by this time, you should be comfortable enough that your days will be filled with laughter and just being happy. Night 3: Dry Tortugas - You’ll sleep even better tonight. We wont be shocked it you want to retire early. This yachter’s life of play is tiring, ~ truly it is. Day 4: Dry Tortugas to Boca Grande Key - All hands on deck after a good morning feed. We’ll sail for up to 10 hours to reach Boca Grande Key. We find it best for guests and crew, if we break up the trip with a stop in between. Sailing from dawn to dusk is not always an easy adventure. Night 4: Boca Grande Key - Maybe you’d like to slip the paddleboards into the water for an outing before dinner. The atoll usually has very calm waters on the inside. The stars should be amazing tonight. There will not be even a city glow. Day 5: Boca Grande Key to Key West - Today we have our final sail back to the dock (hopefully by 4PM). You can pack up and prepare to become a landlubber again. We help you get it all together and say our goodbyes until..next time. Yankee Freedom Ferry is the high speed ferry under contract with the NPS. It offers an one (1) day experience from check-in at the docks in Key West at 6:30 am with a return back to Key West after 5:00pm. Cost per adult is $175, Seniors $165, Children $125 and includes your park entrance fee. Key West Seaplane is the contractually allowed flight and offers two options. The 8-hour excursion has a 40 minute flight each way, 6.5 hours at Ft. Jefferson. Cost per adult $578, children $464 and does not includes your park entrance fee.